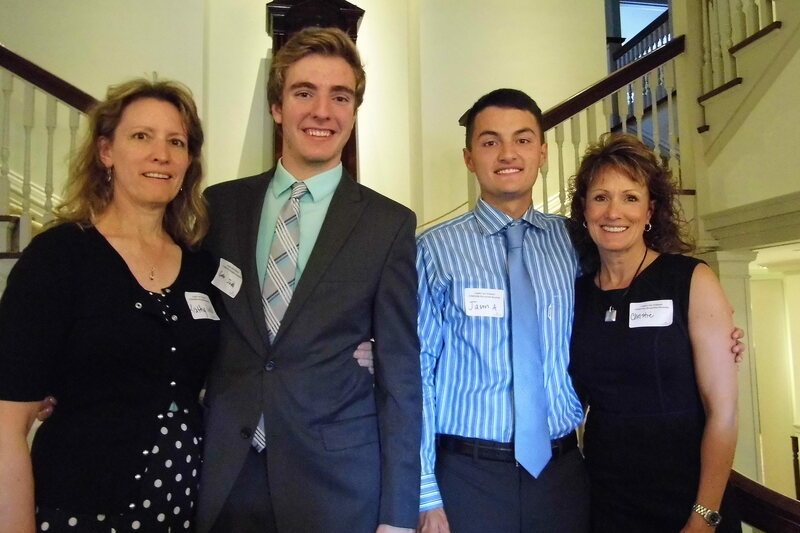 Gabriel Judd (in green) and Jason Agtarap (in blue) were joined by their mothers, Kathy and Christie to celebrate their scholarship award. With all the noise surrounding teen culture that is awash in social media hashtags and odd clothing choices it’s easy to forget that many of the “kids these days” are pretty incredible. Comcast certainly thinks so. The cable company invited all 90 of its Washington Leaders and Achievers Scholarship winners to the governor’s mansion to honor their hard work. “These are great young people who are role models to their peers and to adults,” says Comcast Communications Director Walter Neary. Each recipient earns a $1,000 scholarship to help pay for college. A unique aspect of this program is that each winner was originally nominated by a school official, typically the principal or counselor. “We picked students who showed a lot of leadership in school or church or wherever that might be,” says Neary. A steady stream of well-dressed people files through the door. A photographer snaps a picture, a greeter hands out an ice breaker activity. There are glasses of iced tea and punch laid out in neat rows on fine linens. A portrait of George Washington hangs in one room, in another two pianos rest side by side. Back in the library a guest book housed in glass is open to a page baring Harry Truman’s signature. “Going off to college, it’s nice to know I’m sort of leaving my mark on the school and on the area,” says Jason Agtarap, one of the 90 honored with the Comcast scholarship. The 18-year-old just finished his senior year at North Thurston High School. Agtarap is headed to the University of Oregon in the fall. He plans to study human physiology and has a goal of becoming a radiologist. 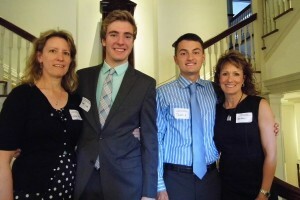 During his time at North Thurston, Agtarap was active in Key Club and National Honor’s Society. He’s lent his time to the food bank and to fellow students who needed help with calculus. “I’m happier making other people’s days,” says Agtarap. Brittany Wu was recognized for her passion helping kids. Brittany Wu is humbled by the scholarship. “It’s very enlightening and reassuring that what I do and what I strive for is important and that people took notice.” The Capital High School graduate will be attending the University of Washington in the fall. Wu has a passion for helping kids. She’s volunteered with the Big Brothers Big Sisters program and has served as a counselor for different age groups. Wu is considering becoming a pediatrician. 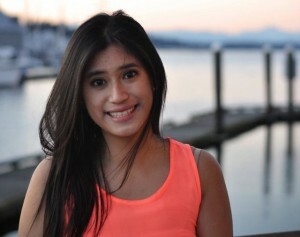 She served in multiple leadership roles while at Capital including ASB Vice-President. “Leadership is about serving others,” says Wu. “It makes me feel really good about myself and it betters my environment. For a complete list of winners, including more local teens, click here.